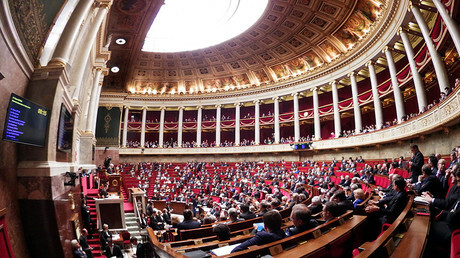 France’s Senate will debate a draft resolution calling for the easing and gradual lifting of anti-Russia sanctions on June 8. The draft resolution has already been supported by the body’s Committee on European Affairs. “Deteriorating relations between Russia and the EU are only causing regret. We believe that gradual easing of sanctions imposed against Russia is necessary, particularly in the field of economy,” Yves Pozzo di Borgo and Simon Sutour, the two senators who introduced the draft resolution, said as quoted by TASS. On Thursday, the document was presented at the meeting of the Senate’s Committee on European Affairs and was almost unanimously supported by the committee members, with only one vote against and one abstention. “I was also pleasantly surprised today when the committee members voted almost unanimously for it. And what surprised me even more is the fact that Socialist senators who support the government also voted for this resolution together with us. This is, of course, far from over – but it is a very good start,” di Borgo said according to Sputnik. “The fact that most committee members representing both [the ruling] Socialists and the opposition voted for our resolution proves that France’s society and our companies got tired of these sanctions. If the resolution will be adopted by the Senate on June 8, this will be another [such] sign,” di Borgo told Russian journalists adding that Europe should start the process of lifting the sanctions. “This is a procedure that carries considerable political weight… and Francois Hollande will have to take this resolution into account. Even though it is a non-binding vote, it is a powerful political gesture nevertheless,” the senator added. The authors of the resolution also stressed that the policy of sanctions is no longer viable. The French Senators called for the immediate lifting of personal sanctions imposed against Russian MPs and stress that Moscow remains a strategic partner both for France and Europe. In response they hope that after the easing of the anti-Russia sanctions Moscow will lift its embargo on the European food products. At the same time, the draft resolution criticizes Russia’s reunification with Crimea and links the lifting of sanctions to the implementation of the Minsk Agreements. The authors urged the French government to continue contacts both with Moscow and Kiev as well as with other European nations to resolve the Ukrainian conflict. 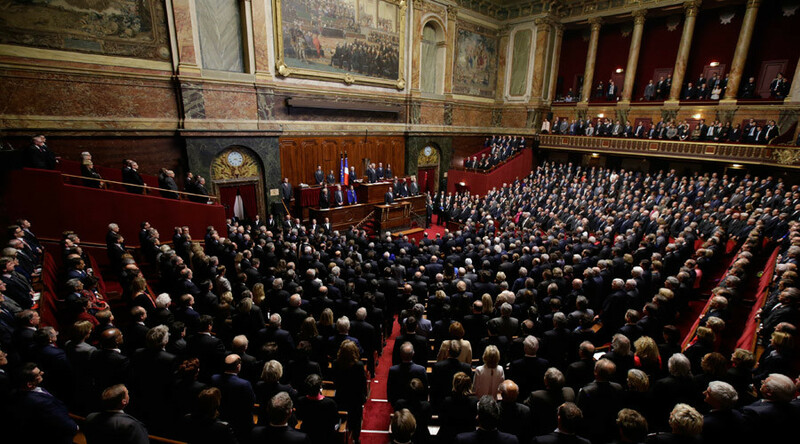 On April 28, a similar resolution was passed by the French Assembly, which is the lower house of the French Parliament while the Senate is the upper one. Of the 577 deputies of the National Assembly, only 101 took part in the vote at that time and 55 of them supported the resolution calling on the French government to protest extension of EU sanctions against Russia. “We are demanding that the sanctions be lifted because they are totally ineffective and they are dangerous for our economy,” Thierry Mariani, member of the center-right Republicans party who initiated the parliamentary debate on the resolution, said at that time. “We cannot put up with the multimillion losses that sanctions inflict on French enterprises,” Nicolas Dhuicq, a French MP from the center-right Republican party and a member of the parliamentary committee on national defense and armed forces, told TASS commenting on the April vote. France is not the only European country, where politicians favor the lifting of anti-Russian sanctions. On May 19, a council in Italy’s northeastern Veneto region has adopted a resolution recognizing Crimea as part of Russia and urging the Italian government and the EU to lift sanctions. On May 25, Hungarian Foreign Minister Peter Szijjarto said that Budapest is set to stand against the automatic extension of sanctions imposed on Moscow by the European Union, after he met with his Russian counterpart Sergey Lavrov in the Hungary’s capital. 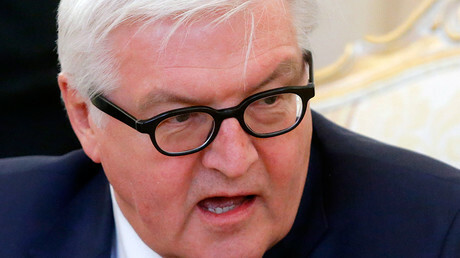 In the meantime, German Foreign Minister Frank Walter Steinmeier admitted that prolonging economic sanctions against Russia is getting “more difficult” in the context of the growing opposition from some EU countries. Earlier on Friday, German media reported that German government considers a plan to gradually ease sanctions in return for Russia’s cooperation in implementing specific provisions of the Minsk Agreements particularly related to the local elections in the Eastern Ukraine. The EU sanctions were first imposed on Russia in July 2014 over the crisis in Ukraine and the reunification with Crimea. They have been repeatedly extended ever since. In December 2015, the European Union prolonged the sanctions for another six months, after Italy initially delayed the decision, demanding the issue be discussed rather than merely rubber-stamped. The sanctions include restrictions on lending to major Russian state-owned banks, as well as defense and oil companies. Brussels also imposed restrictions on the supply of weapons and military equipment to Russia, as well as military technology, dual-use technologies, hi-tech equipment and technology for oil production. In response, Moscow imposed an embargo on agricultural produce, food and raw materials from countries that joined the anti-Russian move.